Did you know I wrote a feel-good Valentine&apos;s Day book? Don&apos;t worry, it&apos;s not too mushy. 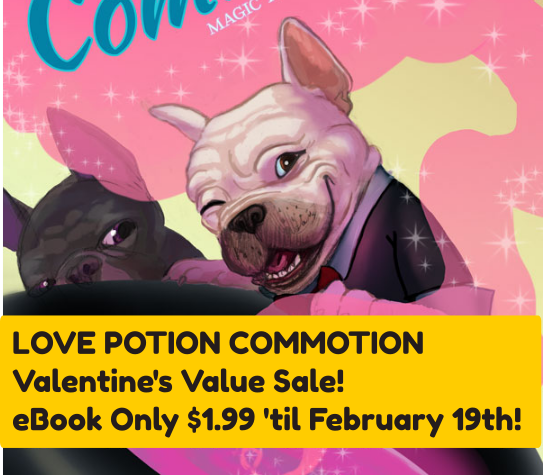 It&apos;s called LOVE POTION COMMOTION and it&apos;s got talking French Bulldogs. If you&apos;re still jonesin&apos; for Hallmark movies, you&apos;ll probably get a kick out of this. It&apos;s normally $4.99 but it&apos;s on discount &apos;til the 19th.